In the year 2001, Harald Szeemann commissioned Cy Twombly to make a work that would be relevant to the Plateau of Humankind exhibition organized by the Venice Biennale, melancholic farewell of modernity in the threshold between two centuries. For this exceptional event, the American painter created a large narrative cycle dedicated to the famous naval battle that took place, in the Gulf of Lepanto on the 7th of October 1571, between the Ottoman Turks and the so-called “Holy League”, a Christian coalition formed by Spain, Venice and the Papacy. Beyond its historical significance as an allied victory over Turkish expansionism, the Battle of Lepanto became a fascinating subject for visual narration by contemporary artists supported by the winners: Titian, Tintoretto, Veronese and Cambiaso, among others. An important number of these artistic consequences of Lepanto arrived in Spain. In fact, Twombly first became interested in this subject thanks to depictions of the naval battle represented in tapestries based on paintings made for Philip II by Luca Cambiaso and now at the Escorial. The presence of Lepanto in Spain, specifically at the Museo del Prado, updates the historical importance of large narrative cycles of paintings, especially the series of battles that forma fundamental core of the Royal Collection. At the same time, Twombly’s extraordinary frieze introduces a new link into that fabulous sequence of the “Venetian tradition”, majestically embodied at the Prado since the early Hapsburg’s relationship with Titian and now reaches our time with unbroken continuity. 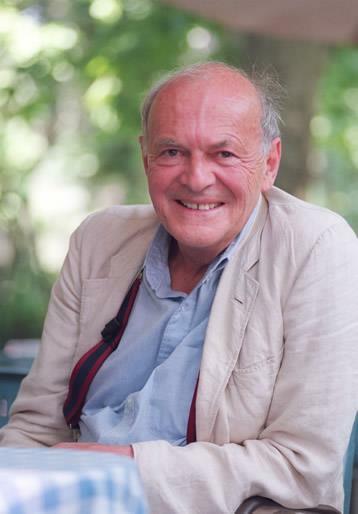 Portrait, Cy Twombly ©Sankei Shimbun Co., Ltd. Among the American artists who first came to prominence in the late 1950s, as the great juggernaut of Abstract Expressionism was waning, Cy Twombly (Lexington, Virginia 1928) remained closest to the earlier generation´s belief in the primacy of the gesture, developing an inimitable handwriting that became the essence of his painting along with the use of the word evoking mythological figures and events as an inherent compositional element and the gradual incorporation of color. Raised in Lexington, sanctuary of the American Civil War and the Virginia Military Institute, Twombly has always shown an interest for military and nautical subjects and their codification. Insatiable traveller and connoisseur of the Mediterranean, his fascination for the classical world led him to establish himself in Italy in 1957, where he resides most of the year. This will be the series’ last exhibition before it is definitively installed at the Brandhorst Museum in Munich. The accompanying catalogue includes an essay first published in 2001 by Kirk T. Varnedoe (1946-2003), the American writer and art historian who was Chief Curator of Painting and Sculpture at the Museum of Modern Art (MoMA) in New York. 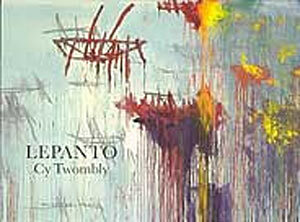 Among the exhibitions that he curated for that museum was a retrospective of Cy Twombly in 1994. 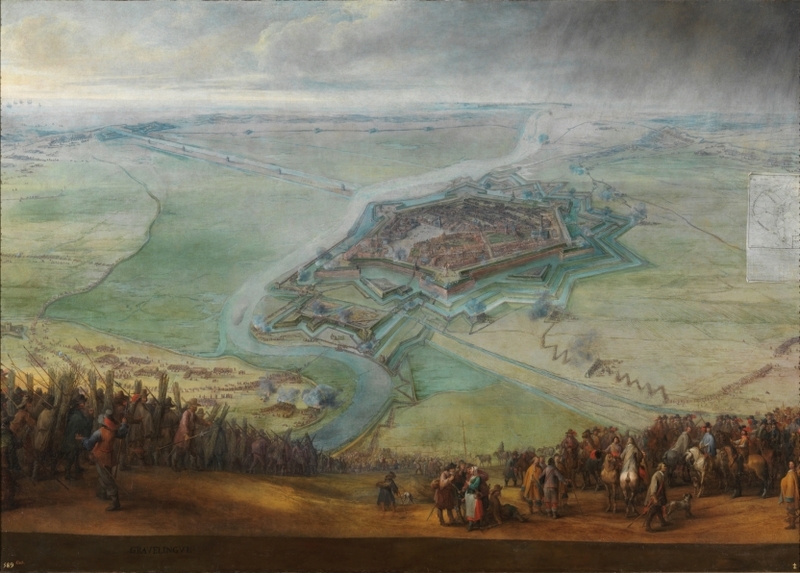 The publication also includes a text by Miguel Zugaza, Director of the Museo del Prado, and one by Alejandro Vergara, Chief Curator of Flemish and Northern Painting at the Prado and co-ordinator of the project that complements Lepanto, entitled Snayers, Callot and Battle Paintings, which can be seen in the adjoining gallery.